You like the look of denim but avoid it, knowing how much it makes you perspire. Giving you the same style but with a much lighter feel, chambray made out of TENCEL® adapts easily to your on-the-go, active lifestyle. 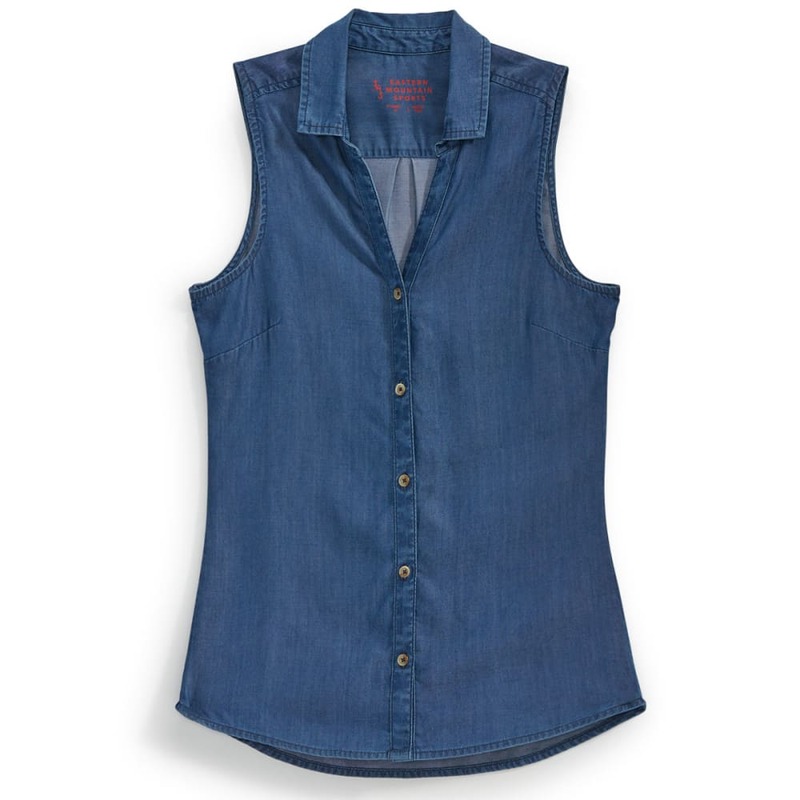 This shirt combines the soft, sustainable material with a sleeveless cut and buttoned fit, topping it off with a medium denim wash.